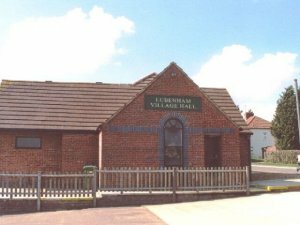 A modern Village Hall, totally disability friendly, offering large Main Hall with stage, plus The Onyx Room and Committee Room. Bar, kitchen (Fully equipped with stainless surfaces) and cloakroom, toilets. Ample off-road parking. The Main Hall and The Onyx Room can be opened up together providing a larger area with a total capacity of approximately 150. Car parking.